As part of our ongoing research on gender equity in corporate leadership, Brandon Hall Group developed the 2019 Women in Leadership Survey. We encourage both men and women to take the survey so we can capture a full range of perspectives on important issues related to efforts to advance women in leadership. This survey explores all facets of interviewing, including scheduling, screening, interviewing and automation. Brandon Hall Group will address the impact of all these practices on organizational performance and talent metrics. Recently, there’s been an acute focus on improving employee experience when they engage in formal, informal or experiential learning related to their work. This survey seeks to identify the elements of an ideal learning experience from strategy, to content, to technology, to measurement. The strategies, processes and technology used to source, attract and nurture top talent are rapidly evolving. Brandon Hall Group is conducting new research to identify the trends and best practices in recruitment marketing. This survey seeks to uncover how mindset and process play a role in creating a more analytical business culture. The data and insights from this research will help organizations achieve their people-analytics goal: creating a data and analytics cultural transformation, a structured evidence-based system and a culture that trusts the numbers. Brandon Hall Group’s 2019 People Data and Analytics Survey will explore how organizations use data for communication and influence, and how data can be combined in new and different ways to create a more holistic approach – using data to shape organizations' daily interactions rather than as a pure problem-solving tool. Male Allyship is when men support women's careers in the workplace. The purpose of this survey is to better understand male allyship. The outcomes of this survey will be used for research purposes. 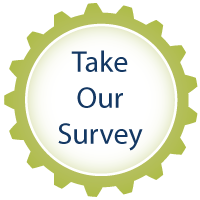 Brandon Hall Group invites you to participate in the 2019 Assessment Practices Survey. Assessments are widely used for both hiring and talent development, but not always in a strategic and consistent manner across the enterprise. Brandon Hall Group invites you to take our 2019 Learning Measurement Survey. Understanding whether learning is achieving desired business outcomes is critical. This survey was created to examine current measurement practices and develop forward-looking insights on how to improve learning’s impact on performance.